Beavers have qualities, stunning ones for that matter. I stumbled upon the animal in a book and I fell in love with their lifestyle instantly. I'm sure if you pay rapt attention, you'll learn one or two things from this creature and if you are wise enough, you'll appropriate the learnt lessons in your life and increase your value. 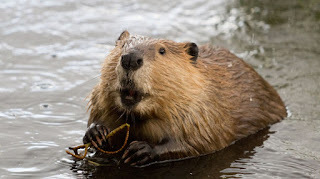 There are two species of beaver, and they include: the European beaver (castor fiber) and the North American beaver (castor Canadian). They are mammals, herbivores and weigh up to 60 lbs. 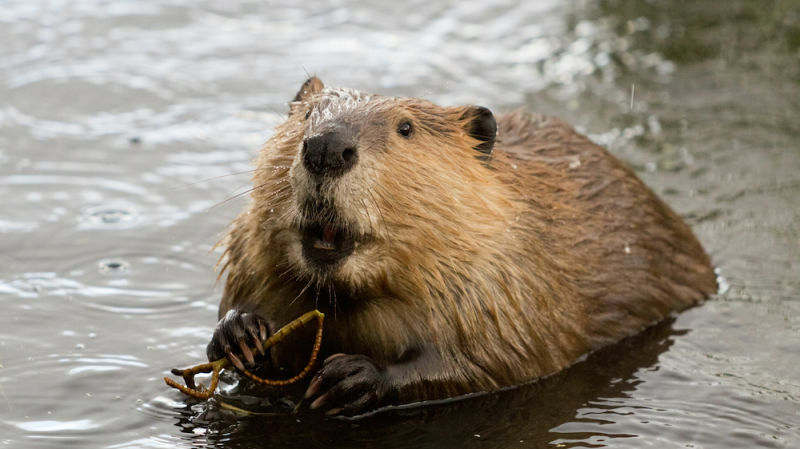 Their average life span is up to 24 years and a group of beavers is called a colony. They are the second largest rodents in the world after the Copybara. Beavers are social animals living in large family groups of monogamous parents, young kits and their yearlings. They turn their talents to re-engineering their landscape. They are large nocturnal, semi-aquatic animals. The large front teeth of a beaver never stop growing, so they keep gnawing on wood constantly to help keep the teeth from growing too long. Beavers create dome-shaped dams with branch and mud. These dams are called lodges which have underwater entrances, thereby making entry tough for predators and other animals. They have a good sense of hearing, smell and touch with poor eyesight though transparent eyeballs. They are slow on land but very good swimmers. They like to keep themselves busy and build their homes through the night; hence the saying "As busy as a beaver." In spite of the majestic qualities of other powerful and wiser animals such as the lions, eagles, sharks, etc., beavers have succeeded in using their abilities to manipulate their environment making them second to humans in this regard. I learnt the beavers are sociable, peaceful, hardworking and faithful. They live in close-knit families and are master home builders. As humans, there is the need for us to be sociable, no man is an island and no one will ever succeed in becoming one. The Beaver is a friendly animal - Being friendly, opens up a world of opportunities, especially if our friends are the right people. Personally, I have been a beneficiary of this. Make friends wherever you are, don't live your life in gruffness. The payoff is not edifying. One thing about life is that our friends are the most people we spend our days on earth with, our relatives won't follow us everywhere. Be peaceful - Let your inner self be at peace and I assure you, that peace will radiate from within. You'll find it easy to co-exist with others peaceably, even if your neighbours have constituted themselves as a nuisance. Be hardworking - If you are not keen on using crooked means to achieve your dreams, you are in for a lot of work. God gives us the strength to run the race and places the trophy on a raised platform at the end. Then He blows the whistle signifying that we start running. The trophy is the prize for running the race to the end, the race is the conglomerate of the things we'll go through in the course of following our dreams, the raised platform is the stage on which our trophy will be presented to us; the moment when the whole world will applaud us for a job well done. If you want the trophy, run the race. Be faithful - In whatever you do. Live your life in such a way that not only your acquaintances, even the man on the street can defend you. Faithfulness counts with God and with men. Whatever you become, wherever you go, don't break the family tie. They are the first people who bore your burdens before others. Cherish them, appreciate them, and love them ceaselessly. Be a master builder - Build yourself, your life, your spirituality, your convictions, your family, your friends, your visions and above all, your relationship with God in a way that triggers emulation from others. Be manipulative - Don't get me wrong; I mean manipulate those odds to be in your favour, manipulate un-suitabilities to bring out a creative aspect of your life. You are a human, you have the power. Once a time, we lived in holes in the rocks, now we live in palatial mansions and duplexes. What does that tell you? We chose not to remain in unpleasant situations, we awakened our brains and through their use, we manipulated our environment into one with conveniences. Be manipulative. Like the beaver's front teeth, never stop growing. Surely, we'll stop growing in height, weight and size. Yet our mind must never stop growing. It should always be put to tasks and stretched until our final breath. I hope this has proved to be an insightful reading and it will be more impactful if you can borrow certain principles from the beaver. Don't worry, the beaver will lend you. Google has aided me in my research, the gold nugget is what I gleamed from the lifestyle of the nocturnal animal: the beaver. Get the beaver personality today. Oyindamola Grace Osinubi is an enthusiastic reader and a prolifically skilled writer who have an unquenchable passion for knowledge. She loves digging deep into history and studying the ways of living things in the universe apart from humans. Tourism flows in her blood and she’s not shy of making new friends. 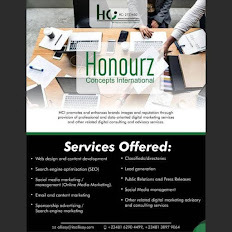 You can connect with her via [email protected] or 09086385550.